WASHINGTON -- The Federal Aviation Administration lifted its ban Wednesday on U.S. flights in and out of Israel, which the agency had imposed out of concern for the risk of planes being hit by Hamas rockets. The FAA said its prohibition was in response to a rocket strike that landed about a mile from the airport as hostilities between Israel and Hamas militants raged on, with hundreds of Palestinians and dozens of Israelis killed in intense fighting. It also came after a Malaysian jetliner was shot down over Ukraine where pro-Russia separatists have been battling government forces. Rebels shot down two Ukrainian fighter jets on Wednesday. The directive, which was extended Wednesday for 24 hours, applied only to U.S. carriers. The FAA has no authority over foreign airlines operating in Israel. Correspondent Don Dahler told "CBS This Morning" it's not clear how many U.S. carriers will resume flying to Israel. 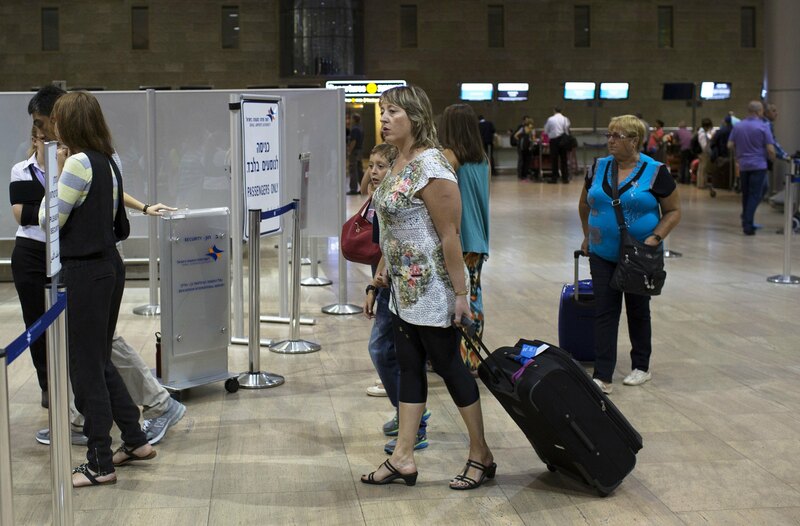 Normally, 400-500 flights arrive and depart daily from Ben Gurion International Airport. Yesterday, there were only 200, with roughly half the number of passengers as on a typical day. Twenty-five airlines had cancelled flights to Tel Aviv. The ban angered many Israelis, who say the unguided rocket that destroyed a home near the airport was just a lucky shot. But Hamas declared the FAA's decision to ban American flights a victory. Amos Yandlin, Israel's former head of military intelligence, agrees. "Unfortunately, I think it's a victory," he told CBS News. "But as I always emphasize . . . it's not a big victory. We can deal with it. "To tell you the truth, I was surprised that it wasn't done before. [But] the fact that the 'Iron Dome' was so effective enabled them to continue with the flights." The ban was criticized by Republican Sen. Ted Cruz of Texas, who questioned whether President Obama used a federal agency to impose what he characterized as an economic boycott on Israel. State Department spokeswoman Marie Harf rejected Cruz's comments as "ridiculous and offensive." "The facts suggest that President Obama has just used a federal regulatory agency to launch an economic boycott on Israel, in order to try to force our ally to comply with his foreign-policy demands," Cruz said in a statement in which he posed five questions about the agency's actions, including whether it was politically motivated. Cruz said later Wednesday he would block Senate confirmation on all State Department nominees until his questions were answered. Harf said, "There's no place for these kinds of political stunts in confirming nominees for critical national security positions." Cruz said tourism is an $11 billion industry for Israel and the flight ban could be a crippling blow. Long before the flight prohibition, the fighting could have affected tourism in Israel. Harf, the State Department spokeswoman, said the FAA makes its "decision based solely on the security and safety of American citizens, period." Catherine Frazier, a spokeswoman for Cruz, said the Obama administration's foreign policy was itself "ridiculous and offensive." In a statement, the powerful American Israel Public Affairs Committee, which holds considerable sway with Congress, expressed concerns with the FAA ban and urged a review of the policy. AIPAC said Israel has been subjected to hundreds of rockets the past two weeks and air travel has been safe and uninterrupted. "The American people have shown in this difficult moment that they stand strongly with our democratic ally," AIPAC said. "Now is not the time to send the entirely wrong message with a ban on flights to Israel."